While it’s easy to get excited about all the flashy, brand-new products hitting the market, it’s also pretty cool to see a company make incremental improvements to a product over the course of several seasons, when the result is a piece of equipment that performs better than something that’s totally new and unproven. The Scott Cosmos III is one of the products. 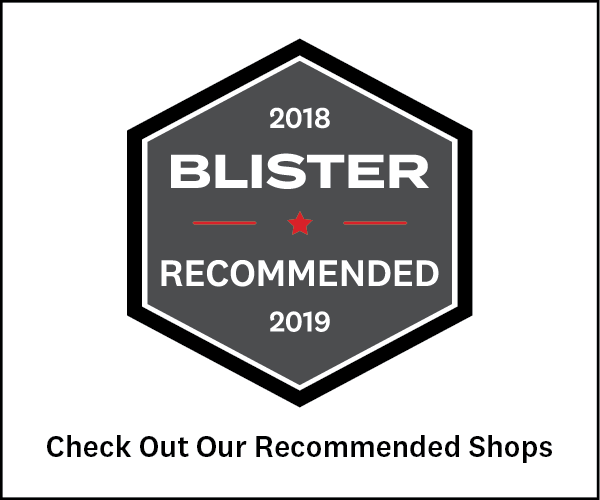 It began as the Garmont Cosmos boot back in 2012, and then after Scott purchased Garmont’s ski boot line, Scott released the updated Cosmos II a few years later. The Cosmos III is the most recent iteration of this touring boot, and this past season, I spent time in it touring around the Colorado backcountry to get an idea of how it compares to a bunch of the other touring boots out there, as well as what types of skiers should really be considering it. Scott makes several different boots that all share an identical, or very similar design to the Cosmos III. 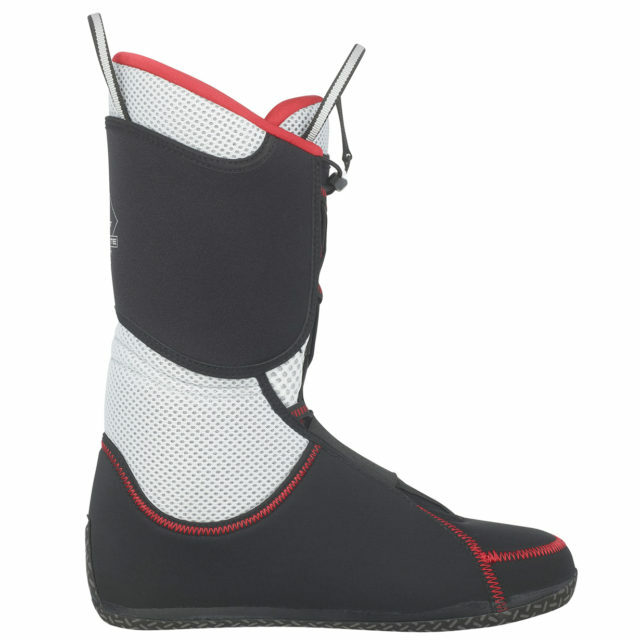 The standard “Cosmos” boot has the same exact design as the Cosmos III, but has a Pebax shell and cuff (the Cosmos III uses Grilamid in both the shell and cuff). The standard Cosmos boot also has a softer stated flex of 110, and a slightly heavier stated weight of 1542 grams. 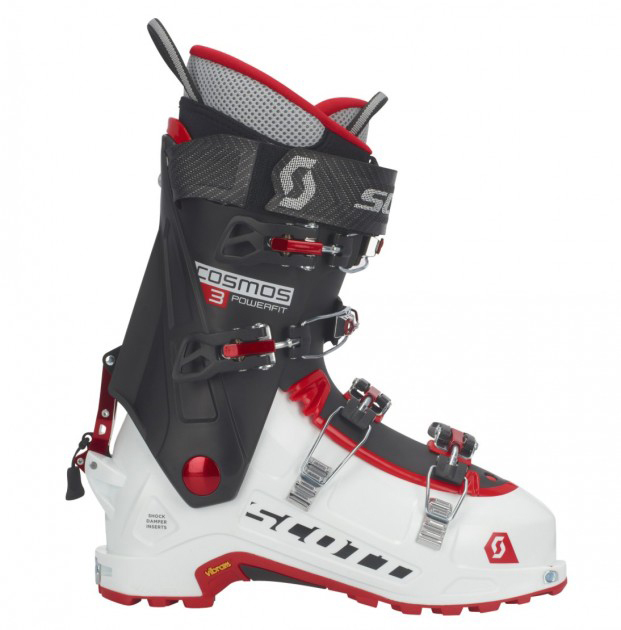 The Scott “Superguide Carbon” boot is the slightly lighter, stiffer, and higher-end version of the Cosmos III. The Superguide Carbon has a slightly different upper cuff and buckle design, a stiffer stated flex of 125, and a stated weight that’s 10 grams lighter than the Cosmos III. The women’s equivalent to the Cosmos III is the “Celeste III,” which has a slightly lower cuff and stated flex of 110. And then, like the men’s Cosmos boot, the standard “Celeste” boot is a bit heavier and softer than the Celeste III. 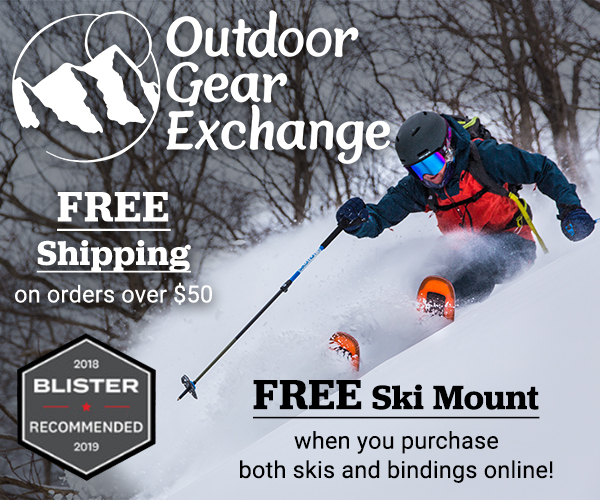 Compared to other boots in the “freeride” touring boot category (e.g., Salomon S/Lab MTN & Atomic Hawx Ultra XTD 130), the Cosmos III comes in at a pretty average weight of 1450 grams. So it’s not as light as more uphill-oriented boots like the Dynafit TLT7 Performance, but the Cosmos III is still significantly lighter than crossover 50/50 boots like the Lange XT Free series. To me, the Cosmos III’s liner feels more like a “walking” liner than a “skiing” liner. It’s pretty soft overall, particularly around the midfoot and ankle, which helps it feel far from restrictive on the skintrack. 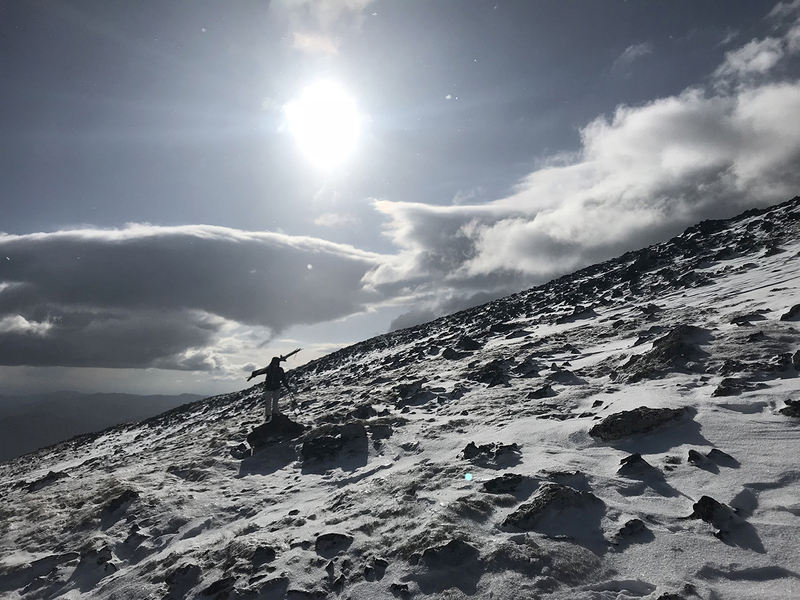 But that mobility does come with a tradeoff — the Cosmos III’s liner doesn’t feel quite as plush and / or powerful as the thicker and slightly stiffer liners in boots like the Salomon MTN Explore and Head Kore 1. The Cosmos III’s liner reminds me most of the pre-production liner in the Atomic Hawx Ultra XTD 130, which is a pretty minimal, thin, and soft liner. But while the Cosmos III’s liner is fairly soft, I still found it quite comfortable and didn’t notice any uncomfortable areas, even with the shell fully buckled down. And like many liners on the market, the Cosmos III’s liner is heat-moldable if you want to get a slightly more precise fit. Lastly, the Cosmos III’s liner features laces with a quick-adjust system somewhat akin to what Salomon uses on many of their trail running shoes. While I typically don’t use liner laces, the Cosmos III’s quick-lace closure is so easy and, well …. quick that I’ve come to really like it. The main difference between the old Cosmos II and the Cosmos III is the new boot’s walk mode. The old Cosmos II used an internal walk mechanism that was switched with a plastic lever on the outside of the shell. I haven’t used the Cosmos II, but I have always been wary of internal walk mechanisms since they tend to be a bit more difficult to fix if / when something goes wrong. The Cosmos III ditches the internal system in exchange for what I’ve lovingly come to call the “prison shank” walk mechanism, due to its rather large and somewhat menacing-looking metal bar. The Atomic Hawx Ultra XTD, Scarpa Maestrale, and Tecnica Zero G boots all use pretty similar variations of this walk mechanism. 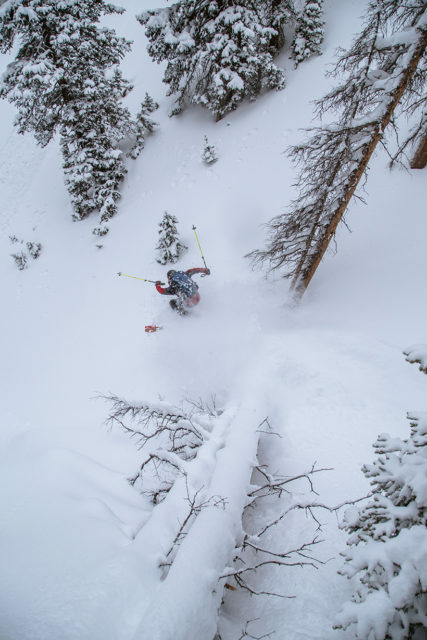 And for good reason — this type of walk mechanism is beefy, easy to use, and provides a solid connection in ski mode that helps block both rearward and forward flex. I’ve had no trouble using the Cosmos III’s walk mechanism with gloves and mittens, and I haven’t had any major icing issues. 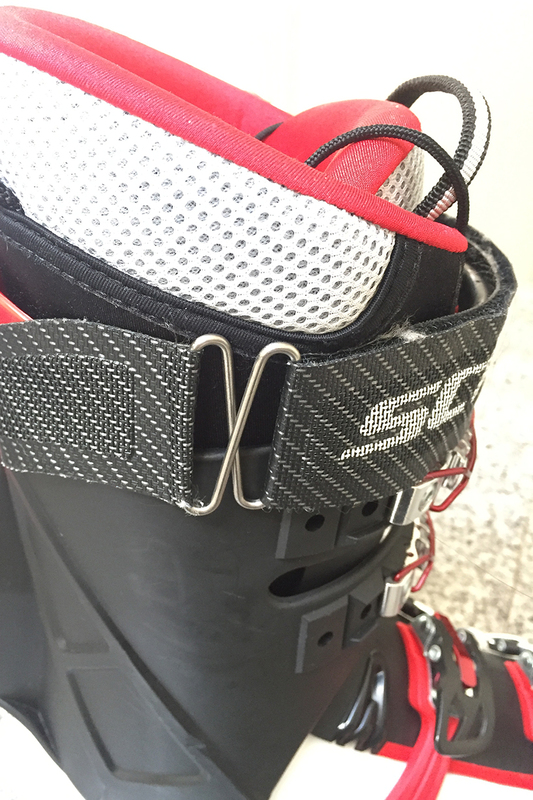 It locks securely into ski mode with an extra latch that helps keep it from popping into walk mode accidentally, and includes an easy-to-grab pull-tab. The one noteworthy downside to the Cosmos III’s walk mechanism is the placement of the lower bar (where the lever attaches to the lower shell). This bar sits pretty low on the boot, and can therefore get in the way of the heel bail on many crampons. I have a pair of Petzl Dartwin crampons that use their old “Sidelock” closure system which has a wire bail that sits on the boot’s heel welt, instead of the typical plastic heel bail that flips up higher on the heel of the boot. This crampon works just fine with the Cosmos III, but there aren’t many crampons currently on the market that have similar wire-style heels (the Grivel Ski Tour crampon is one of few examples). So this is definitely something to consider if you want to use crampons with the Cosmos III. The Cosmos III has four micro-adjustable buckles, and the two upper buckles have wire latches so you can maintain a loose fit while still having the buckles latched / secured. Personally, I’d be perfectly happy if ski boot companies stopped including these latches. They make it more difficult to adjust the buckles, and since I almost always skin with my buckles fully undone, I don’t end up using the latches while touring. But this does seem to be a personal preference thing. So if you like to use these sort of latches to keep your buckles from coming undone, the Cosmos III has them. The Cosmos III features a 40 mm Velcro power strap that has a unique wire attachment point that flexes slightly when tensioned, which is meant to give the boot a more progressive flex. I’m not sure if its power strap has a whole lot to do with it, but I did find that the Cosmos III’s flex felt quite progressive (more on that later). The Cosmos III features a rockered, full-length Vibram rubber sole. I really like the rubber used on the Cosmos III’s sole as it feels grippy enough for scrambling around on talus, but isn’t so soft that it gets chewed up really easily. 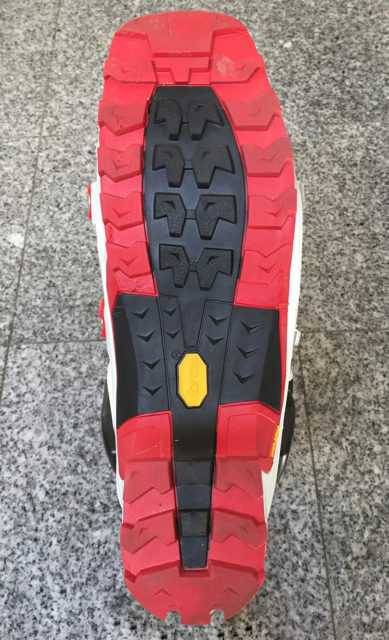 The rubber on the Cosmos III’s sole feels significantly firmer and has proven to be more durable than the soles on the Fischer TransAlp Vacuum TS, Tecnica Zero G Tour Pro, and Nordica Strider 120. As always, I highly recommend that you go to a bootfitter to find out what boot might work best for your feet. That said, I’ll go over how the Cosmos III feels on my feet. For reference, I have pretty average-volume feet, but I have large lateral splats which mean my midfoot widens when I am standing / skiing, and I often get pain on the outside of my forefoot and midfoot when running, skiing, skinning, etc. I have a low instep and an average to low arch. My feet tend to work best with boots that offer ample room in the midfoot, and have lower insteps (e.g., the Salomon QST Pro 130). Since my toes taper significantly (i.e., my pinkie toe is much shorter than my big toe), I’ve never needed a 6th toe punch in any boots. Two things stood out to me right away when trying on the Cosmos III. First, this boot feels noticeably shorter than any other size 26.5 boot I’ve used. The 26.5 Cosmos III has a BSL of 296 mm, which is nearly a centimeter shorter than many other 26.5 boots. And while BSL is not a perfect indicator of internal length, I can say that the Cosmos III definitely feels shorter than other boots I’ve used in the same size. The other thing I noticed was that the Cosmos III is a pretty high-volume boot. And that isn’t surprising — this boot has a very roomy stated last width of 103.5 mm. So if you have a wider foot, I think the Cosmos III could be worth a look. The Cosmos III feels quite roomy (apart from the shorter length) in the toe box, forefoot, and ankle. Despite having a pretty generous fit around the ankle, the Cosmos III’s heel pocket holds my ankle down very securely, and I haven’t had any issues with blisters. The Cosmos III’s instep area feels pretty average — not super high, nor super low. The Cosmos III has plenty of features aimed at making it walk well. But does it? Short answer: yes, for the most part. Scott lists the range of motion (aka, ROM) of the Cosmos III as 60°. I think that’s a bit generous. The Cosmos III offers a lot of rearward ROM, but its tongue does limit its forward ROM (especially if I don’t fully undo its upper buckles). The Cosmos III still walks very well, and noticeably better than 50/50 boots like the Salomon QST Pro 130 and Nordica Strider 120. But the Cosmos III doesn’t have as much forward ROM as some other boots like the Atomic Hawx Ultra XTD 130 and Tecnica Zero G Tour Pro. Luke Koppa in the Scott Cosmos III, Rocky Mountain National Park, CO.
I’ve been perfectly happy with the Cosmos III’s ROM for most of my touring, but if you want a touring boot that really lets you stride out, there are some better options in the Cosmos III’s class, and plenty of better options in the more minimal, lighter category (e.g., Salomon S/Lab X-Alp, Atomic Backland Carbon, etc.). The other thing I’ve noticed while touring in the Cosmos III is that the boot can be a bit finicky during transitions and while taking it off / putting it on. A bit of practice has made this easier, but between the liner, the tongue, the lower shell, and the upper cuff, there are a lot of parts that need to fit together correctly. With a stated flex of 115, I expected the Cosmos III to feel most at home in forgiving snow and at more moderate speeds. But the Cosmos III skis better than I figured it would, and in terms of downhill performance, I would be pretty happy using it as my only touring boot. Unlike some touring boots, the Cosmos III’s flex feels nice and progressive. It lets me get into the flex initially, but then stiffens up a bit as I push further into the boot. I personally prefer a slightly softer, but more progressive boot over a boot that’s stiffer, but basically feels like a brick wall. For reference, I’m 5’8”, 155 lbs and typically ski in 120- or 130-flex alpine boots. The Cosmos III definitely feels stiffer than the old Fischer TransAlp Vacuum TS, and I’ve never found myself blowing through the flex of the Cosmos III like I did in the TransAlp. I think the Cosmos III feels pretty similar to the Salomon QST Pro 130 in terms of flex, but it’s important to keep in mind that the QST Pro 130 is definitely soft for a “130”-flex boot. The Cosmos III feels a bit softer than the Tecnica Zero G Tour Pro and Nordica Strider 120, and significantly softer than the Atomic Hawx Ultra XTD 130. 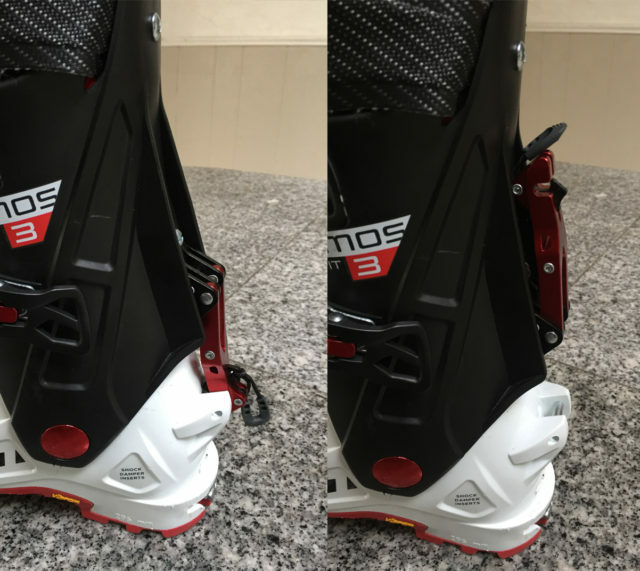 I wouldn’t recommend the Cosmos III to skiers who want maximum stiffness for charging really hard (especially if those skiers are bigger than I am). 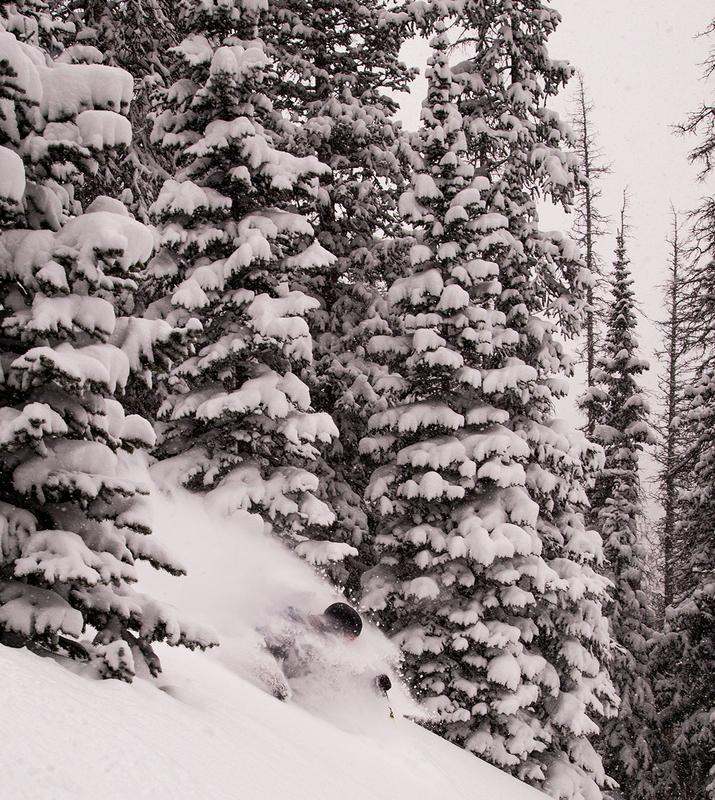 And luckily for those skiers, there are now a ton of good 130-flex touring boots on the market. But since I don’t typically ski as hard in the backcountry as I do in the resort, I’ve really liked the Cosmos III on the downhill. Its progressive flex makes it feel fairly forgiving in rough snow, while still providing enough support to ski pretty fast in difficult conditions. When it comes to lateral and rearward support, I haven’t had any issues with the Cosmos III. After ten days in it, I haven’t had any major issues with the Cosmos III. Its sole is holding up very well, and the buckles, walk mechanism, and power strap are still working just fine. The fabric that covers one of the rivets on the heel of the shell did peel off and which let the rivet rub on the liner, but a small patch of tape fixed that issue. I’ll report back if any durability issues arise in the future. First things first: if you want a super stiff, burly touring boot that feels just like your 130-flex alpine boot, the Cosmos III isn’t it. But if you don’t need the stiffest touring boot out there, the Cosmos III is a pretty good all-around option. It doesn’t have class-leading range of motion, and it can be a bit finicky to get on and off. But it still walks quite well, and it has a nice, progressive flex. So if you prioritize a progressive flex over the absolute stiffest flex, the Cosmos III is a good option. Lastly (and arguably, most importantly), the Cosmos III is a pretty high-volume boot. So for people that have wider feet, the Cosmos III is certainly worth a look. There are now a ton of really good touring boots out there. And that’s really great for us, the skiers of the world, because we now actually have a number of options to choose from based on our personal priorities and weird feet. And if your priorities center around a higher-volume fit, progressive (but not super-stiff) flex, and decent mobility on the way up, then the Cosmos III is a solid all-around option.